Falcons, Peregrines. List of the world's falcons, with links to our pages. such as a broadwing. This makes it easier to fly while learning the exceptional skills required to be effective hunters as adults. wings are called hobbies, and some which hover while hunting are called kestrels. Falcons are roughly divisible into three or four groups. The first contains the kestrels (probably excepting the American Kestrel); usually small and stocky falcons of mainly brown upperside color and sometimes sexually dimorphic; three African species that are generally grey in colour stand apart from the typical members of this group. Kestrels feed chiefly on terrestrial vertebrates and invertebrates of appropriate size, such as rodents, reptiles, or insects. The second group contains slightly larger (on average) and more elegant species, the hobbies and relatives. These birds are characterized by considerable amounts of dark slate-grey in their plumage; the malar area is nearly always black. They feed mainly on smaller birds. (except some very light color morphs), and often a black cap also. 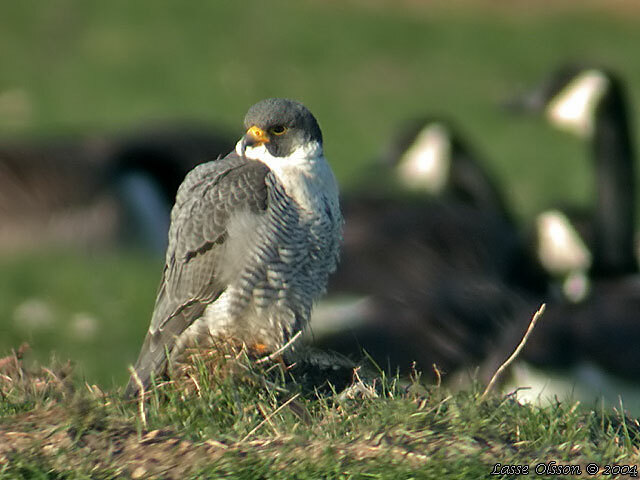 and the Barred Forest Falcons, also range into drier and more open habitats. their songs are commonly heard. catching terrestrial prey on foot. of around 1020 metres (3366 ft) over open country and swoop down on prey, usually small mammals, lizards or large insects. Other falcons are more adapted to active hunting on the wing. In addition, kestrels are notable for usually having much brown in their plumage. female is slightly larger than the male. This allows a pair to fill different feeding niches over their home range. swallows often cannot outpace or outmanoeuver a hobby. amounts of dark slaty grey in their plumage; the malar area is black and the underside usually has lengthwise black streaks. The Black Falcon of Australia is occasionally considered allied to the hierofalcons: indeed it seems fairly close to them . of hawks. Their undersides usually have a lengthwise pattern of dark blotches, lines or arrowhead marks. They hunt usually in level flight, more like goshawks than Peregrines with their dive attack or hobbies with their acrobatic pursuits.